This criticism depends on an understanding of our contemporary late capitalism as ‘post-Fordist’, a buzz word that is used to characterise economies where significant wealth lies in information, communication and culture rather than physical production, which has moved off the assembly line into small, bespoke operations. Even if post-Fordism does not actually represent a radical change from earlier economic systems (its historical uniqueness is still very much up for debate), the concept still valuably draws attention to some key features of current economic life. One of the most common insights related to post-Fordism is an awareness of the importance of ‘immaterial’ labour, ‘the labour that produces the informational and cultural content of the commodity’, and its implication: if your work is crafting a culture, your work is never finished. This makes post-Fordist capitalism significantly exploitative, even if only in terms of working hours. Gillick’s e-flux essay addresses the problem of where this leaves the artist, whose ‘work’ (the labour involved in producing art and the art product itself) comes uncomfortably close to the ‘work’ that non-artists are doing in the marketplace. This problem of differentiating ‘art’ from essentially everything else becomes even more troubling when the work in question takes economics as its subject. What are the potential goals and achievements of this type of art-work? Is it possible for work of this kind to be considered critical when it is so intimately bound up in the structures it examines? 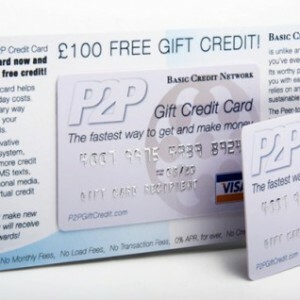 Take, for example, Paolo Cirio’s creation of ‘gift finance’ with the P2P Gift Credit Card, which he describes as ‘an alternative economy of public interest’. The gift finance system, launched in December 2010, works upon a basic assumption that money can actually be a force for good in the world; it seeks to demonstrate this by giving everyone a certain amount of money, a ‘universal basic income’, that enables them to survive and operate in the world with dignity, moving money around in a peer-to-peer system. A digital account and a plastic P2P Gift Credit Card, which anyone can apply for, are the vehicle for moving this money around. The fact that the P2P Gift Credit Card is unashamedly a creation underscores the basic truth driving this project — all money is imaginary. The P2P Gift Credit Card is part of a longer art historical tradition of working with currency systems that goes back to Marcel Duchamp’s first cheque-as-art, Tzanck Check (1919), updating it to accommodate an economic system that relies on the movement of numbers-representing-money through digital credit systems. This type of art, from Tzanck Check to P2P Gift Credit Card, dramatises the fact that all currency — paper or virtual credit — relies upon a fragile network of assumptions and faiths. Once enough people begin believing in the money represented by Cirio’s cards the system can be operational, giving average economic actors the power over money-as-imaginary usually denied to them. The P2P Gift Credit Card thus argues that social and economic inequality is not the inevitable result of money or private property, but rather is produced by the structures that manage these constructs, i.e. the financial system (the banks) and the political system (the State that simultaneously protects and bestows incredible freedoms upon them). Cirio believes that ‘everyone must have the right to lend money, which he/she doesn’t have, just like banks are allowed to do, in order to stimulate the general economy’. Hundreds of the cards have been distributed in London, Paris, Ljubljana, Preston and Liverpool. Cirio seeks to encourage a heightened awareness of contemporary realities but also to facilitate a freer, more independent functioning of money. But these goals are complicated by his reliance upon the structures he is critiquing (a long radical tradition makes it difficult to understand money as a force for good and equality in the world). In another work, Face to Facebook (2011), Cirio used computer software to take photographs and information from one million Facebook profiles to create an imaginary dating website. Cirio posted this information (information that was made freely available by its ‘owners’) without asking for permission, drawing attention to how people have voluntarily surrendered their privacy on the internet on a massive scale, and the ways in which this availability is open to abuse. He has proven his point by abusing that availability; he followed the system and demonstrated its hidden implications. Cirio consistently defended himself against his critics by repeating that there was no personal gain involved in the project, which ultimately had utopian aspirations. But the very ‘success’ of Face to Facebook proves how dangerous these structures can be. It might be naive for the artist to believe he can independently manipulate them without being himself swallowed up because provocation and criticality are difficult positions to hold within the system in question. Even maintaining some scepticism about the fear-mongering at work in discussions of art in a post-Fordist economy, contemporary art must be sensitive to the problems of complicity. Cirio’s P2P Gift Credit Cards are a dramatic case study because Cirio works directly with the forms he investigates; he makes money about money. But even artists seemingly further separated from their subjects are not immune. London-based artist Shiraz Bayjoo uses video, photography and crowd sourcing to document socio-economic living conditions in the city; by focusing on the document and the archive, Bayjoo has made distantiation part of his practice. This past summer, Bayjoo created and organised Social Archive One: An Economic Forecast for the Institute of International Visual Arts (Iniva), whose exhibition space, Rivington Place, is located in London’s East End. Social Archive One is part of a larger series of commissions for a three-year project at Iniva, ‘At the Intersection: Art & Economies’. 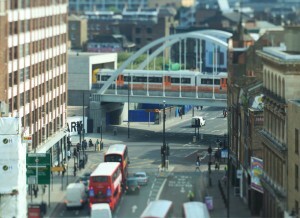 Bayjoo’s project examined the particular, local manifestations of economic forces through a series of digital video interviews with people who live and work in Shoreditch, now archived online. The interviews were conducted by Bayjoo and members of the public. Iniva’s local neighbourhood proved to be a productive place for this kind of research, as it serves as a meeting point for multiple economies, ‘from creative practices, to huge financial institutions, to charities and small family-run businesses’. It is also a neighbourhood whose economic character has experienced a radical transformation in the past two decades. Most of the interviewees express a concern with the pace of gentrification, despite the fact that most of their businesses are relative newcomers to the area. Indeed, in addition to presenting a street-level perspective on current economic conditions in Shoreditch, Social Archive One, simply by encountering the type of business that is typical in the area, functions as a documentation of a historical process, the long-term transition toward a small-scale service economy and the privileging of cultural capital in wealth generation. Social Archive One looks at how the economy is personally felt; the emphatic local focus shrinks the global financial crisis to fluctuations in shopping habits. The use of the ‘archive’ initially seems to serve an elevating purpose, transforming conversations between neighbours into preserved documents of a moment in economic history. But by 2011, the term ‘archive’ has lost some of its elitist and institutional implications. Anyone who has a blog has an archive. Having members of the public produce the work is similarly an idea that people (within the art world and without) are now very comfortable with indeed: last month it was reported that CNN is laying off at least fifty staffers because of ‘workflow changes’, primarily that the network can rely on user-generated content in its news reportage. With Social Archive One, then, we are again confronted with the agonised post-Fordist questioning of where and how the artist can carve out a unique role in this system. But Social Archive One stands out precisely for its polished, clearly edited, high-quality aesthetic. The members of the public who conducted the interviews were trained by Bayjoo in a series of workshops. At a historical moment when we are constantly told that anyone can report the news, that you only need a laptop to tell your story, Bayjoo sets up a formal structure of training and display for this impulse. Social Archive One, not least by adding a self-identified (and institution-identified) artist into the process, questions the easy conclusion that user-generated content is inherently democratic. We make this assumption because platforms like YouTube are placeless, and so ‘international’, and free to use, and so seem, to the average user, to exist separate from the economic world. Bayjoo has created ‘an archive of predictions, hopes, aspirations and potential disappointments’ of a small urban economic community, a work of historical interest. But Social Archive One also complicates our understanding of the nature of street-level documentation, questioning under what conditions ‘the voices of the people’ can be recorded and presented in the independent, free way we assume and/or hope that they are. That Social Archive One was sponsored by ‘Adobe Youth Voices, A Program of the Adobe Foundation’ is given quite a prominent place on the project’s website. I am not entirely convinced, however, that these issues represent insurmountable problems for art ‘about’ the economy or for contemporary art in general. 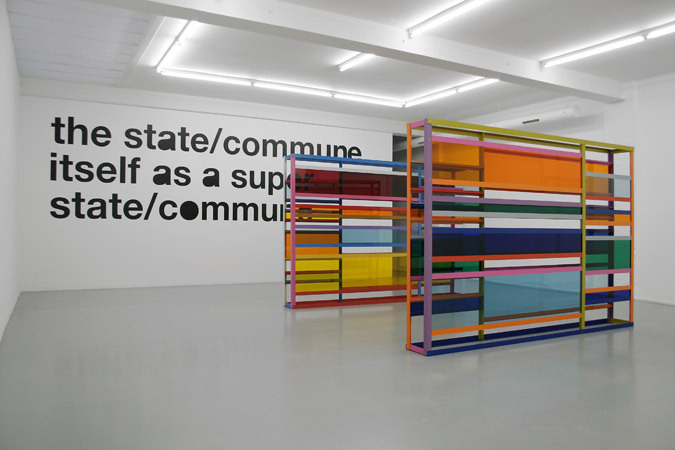 The attention to the artist’s relative uniqueness in terms of immaterial labour and related questions about the art’s implication in the late capitalist system that has been encouraged by research into post-Fordist economics is valuable in that it reminds us of something we should never lose sight of – that artists are real-world actors. Art production is deeply embroiled in society, politics and economics, even if an artist avoids easily-commodified media like painting or sculpture. As such, unambiguous criticism and revolt against prevailing economic systems and structures is not so much newly-impossible within art: it was never possible. Requiring art to be truly, radically critical with regard to economics is little more than a return to relatively conservative expectations of artistic authenticity and bohemianism that were never much more than mythical. An overly-simplistic dichotomy of criticism-versus-celebration neglects the subtle spaces between the two where art can be most interesting and useful. In the act of appropriating and manipulating the ideas and systems that govern daily social and economic life, artists like Paolo Cirio and Shiraz Bayjoo open our eyes to formerly-invisible forces, a project with its own value.